Auto Log-In for Windows-8, 8.1 or Windows-10 without password is very useful in Windows-8.1 to cancel the login screen on Win 8/8.1/10! Windows 8.1/8 and 10 ship with this feature the no password Login, with the ability to log in to any Windows PC with Internet access through a Microsoft account or local account. In addition, users of Microsoft accounts receive a free sync of their operating system customizations and settings. If you're logged in to the same Microsoft account on each of your PCs, you'll get the same desktop appearance (such as background and theme settings), advanced app settings, and even the Quick Access Toolbar buttons from there off synchronized You are logged in. 1.) ... Enable Auto-login without password via commando line! 2.) ... No password about the Run-Command Dlg. to Login! See also: ► . Disabling the Windows Store in Windows! 1.) Enable Auto-login without password via commando line! To disable or enable login screen, please start the cmd.exe in administrative mode (Windows+X Keys)! Please select the User for Autologin in Windows-8 / 8.1 ! (... see Image-1 Arrow-2)! and then click "Apply" (... see Image-1 Arrow-4) and confirm the Password! (... see Image-2 Arrow-1)! 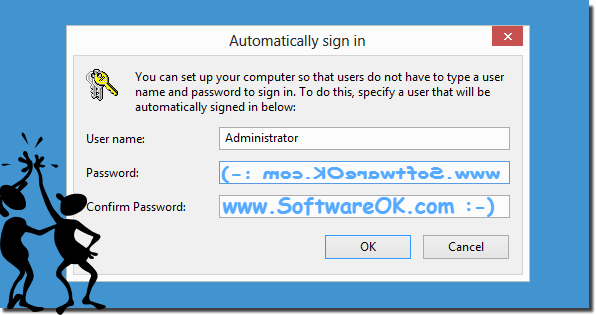 (Image-1) Auto log in Windows 8 and 8.1 without password! 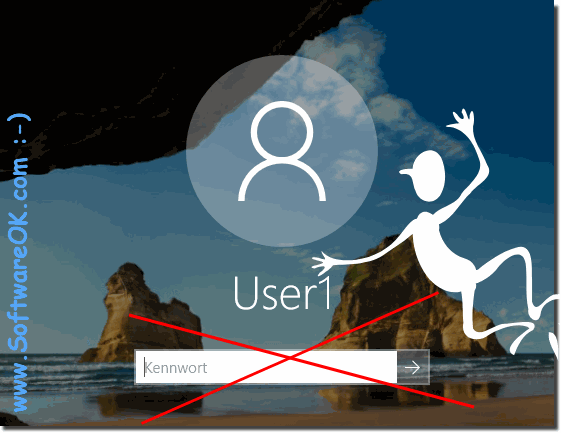 (Image-2) Automatically sign in on Windows 8 and 8.1 user account without password! 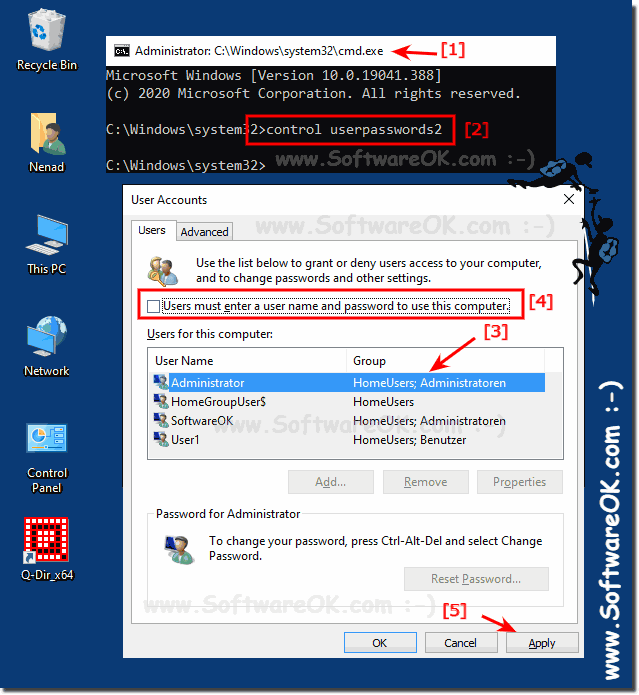 (#) ... How to enable or disable Windows 8 password query when resuming from sleep mode? (#) ... How can i enable the administrator account in Windows 8? (#) ... How to Manage Users in Windows-8 (add, remove, enable)? 2.) No password about the Run-Command Dlg. to Login! Please start the Windows cmd in administrative mode, enter the command control userpasswords2 select the user for Autologin! 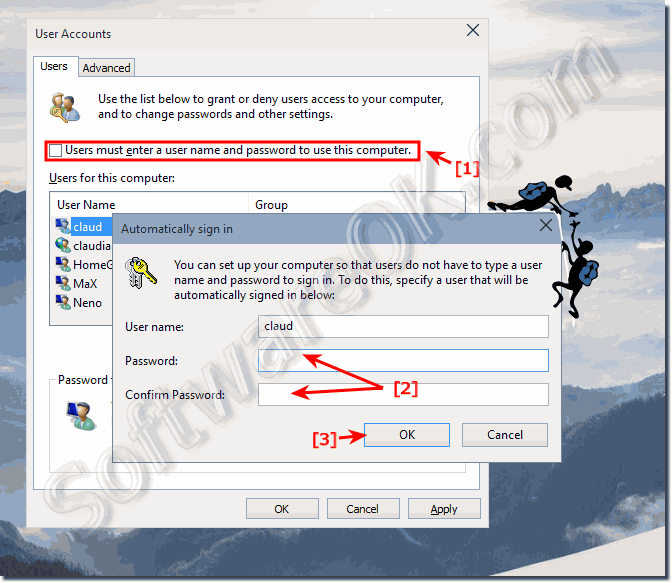 (Image-3) Autologin in windows without password! If you start Windows you will be prompted to enter a login password for log in. This allows you to protect your computers from no password access. If you are the only person who uses a computer and does not want a password to query Betsy every time, you can cancel the process and log in to Windows without entering a password. Many users of home computers and microsoft surface disable password entry! (Image-4) Auto login windows without password! Windows-8 - FAQ-8: Auto login Windows 8.1, 8, and Windows-10 without password!